We are one of the renowned manufacturers and traders of a wide range of security products, which includes, Convex Mirrors. These quality convex mirrors are extensively used at Highways, Railway stations, Malls and many other places. 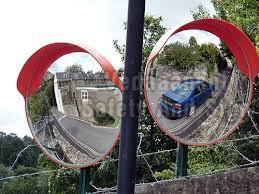 Convex mirror being offered by us are resistant to weather and can be availed at market leading prices.